This is a self produced CD by a band from Orleans, MA. The CD came with a CD-R video of the opening and one of the weakest tracks on the CD ("Drink"). The bands bio describes them as progressive rock but this is really 80's style melodic speed metal but with a singer who is good but lacks the range of the normal singers in this genre (which can be good). The main unique aspect of the band on the CD is the layers of piano on the songs, that is very well executed. The band are suppose to have a theatrical live show and based on the video you can get a glimpse of this, even though I did not care for it. The band are all competent players and represent this genre well, but I don't see them breaking new musical ground here as all the rave reviews that accompanied the promo material suggest. A nice mixture of melodic rock ballads. 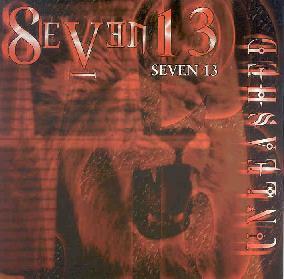 For more information you can visit the Seven 13 web site at: http://www.seven13band.com. Contact via snail mail c/o Seven 13; PO Box 1436; Orleans, MA 02653.